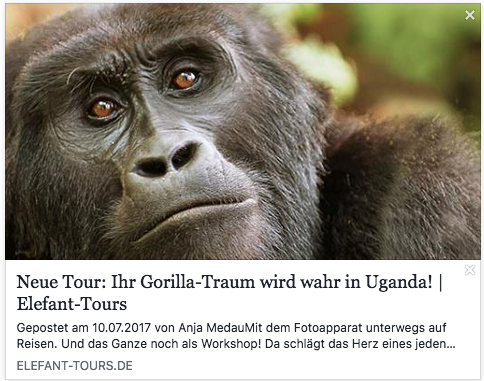 Elefant Tours is a German travel agency spezialized in Africa Travels. 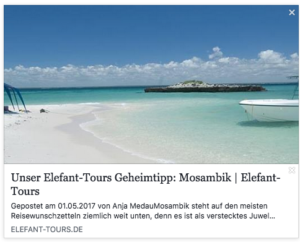 My tasks included: Implementation of a brand strategy workshop to improve and professionalize the recognition and communication of the companies Elefant-Tour, Namibia-Experience, South Africa- Experience, Tanzania-Experience and other experiences. Streamlining of workflows by introducing co-working tools such as Dropbox, Google Docs as a project management tool and collaborative calendars. 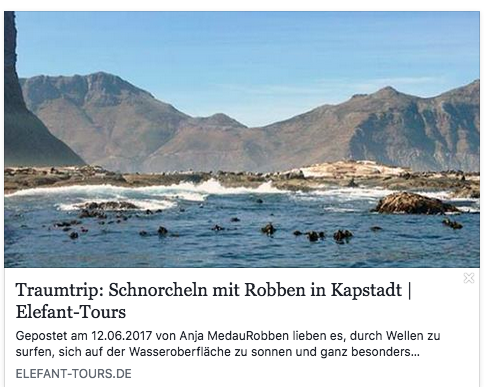 Pitch creation and winning a marketing cooperation with SA Tourism. 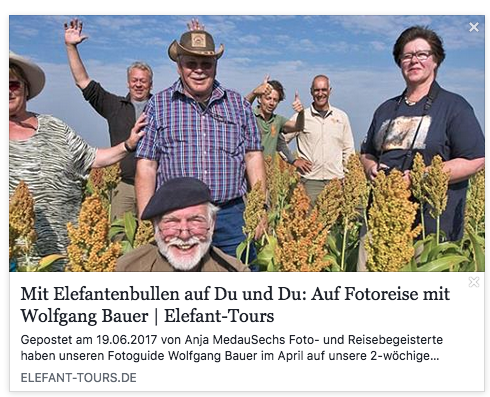 Extension of the Elefant Tours Newsletter reach by introducing a new newsletter software as well as a pop-up. 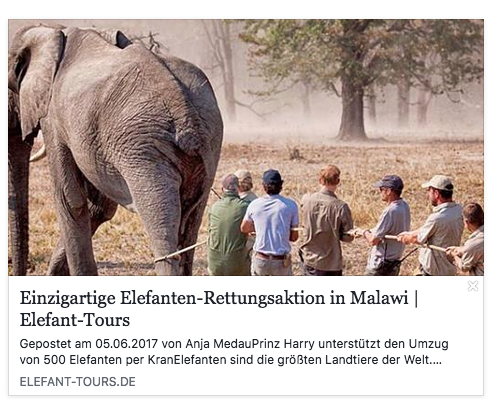 Creation and implementation of social media campaigns in German for Elephant Tours, Streamlining of workflows through the introduction of a new newsletter. 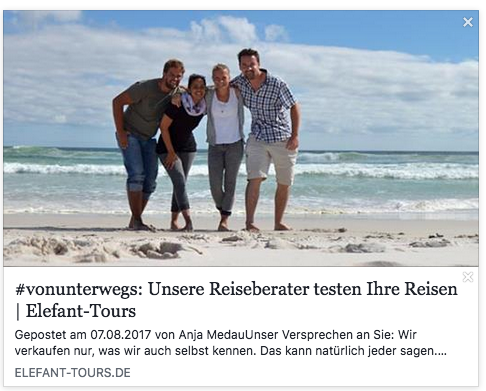 Planning and implementation of PR activities in German and English for our cooperation partner, NGO Oasis.